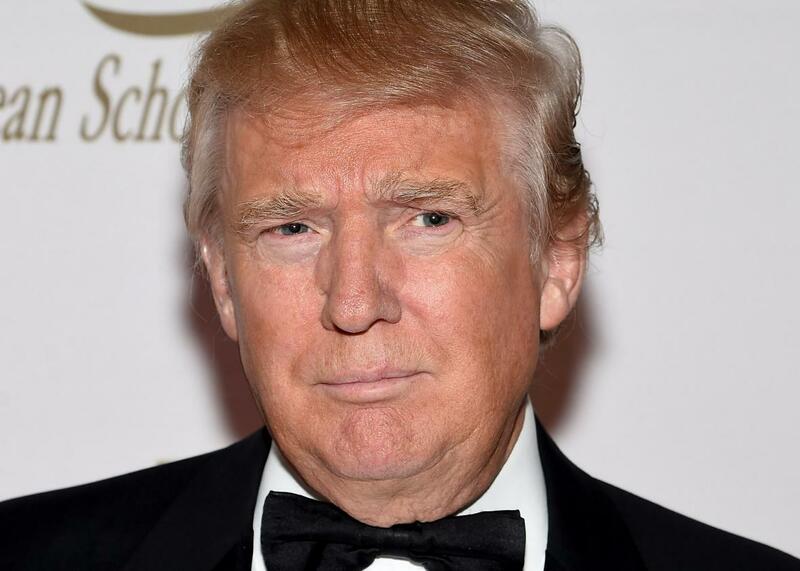 Donald Trump, who claims to be a generous philanthropist, attends a benefit for the European School of Economics at Trump Tower, Nov. 19, 2014, in New York City. The presidential nominating contest has finally reached the point at which talk is turning to taxes. No, not the candidates’ tax plans, which they released months ago, but their tax returns. To date, Sens. Marco Rubio and Ted Cruz have released summaries of their returns and have challenged the Republican front-runner, Donald Trump, to do the same. Trump has demurred, claiming that he’s currently being audited by the IRS. Cruz and former Massachusetts Gov. Mitt Romney have hazarded that Trump’s tax returns contain some kind of bombshell, with Cruz even suggesting that there could be evidence of connections to the mafia. While anything is possible, the mafia typically doesn’t issue 1099s, so I’m doubtful about that particular claim. But could Trump’s tax returns reveal something that could harm him? Critics are correct that being under audit does not bar Trump from releasing his returns. Nevertheless, I am somewhat sympathetic to his reluctance to release the returns until the audit wraps up. If he ends up having to amend his return—even if just to make the audit go away—his opponents could point to any discrepancies as evidence of shoddy preparation, overreaching for deductions, or worse. In politics, if you’re explaining, you’re losing, and who wants to explain one’s own complicated tax maneuvers to the voting public? But what about the substance? One thing that Trump’s tax return will reveal is the extent of his charitable giving. He has described himself as an “ardent philanthropist,” and his returns could either substantiate or put the lie to such a claim. While Trump’s returns haven’t been public, those of his private foundation are, and the picture they paint suggests a cramped definition of ardent. From 1990 to 2009, Mr. Trump gave just $3.7 million to his foundation, inspiring one writer to call him “the least charitable billionaire in the world.” It’s possible Mr. Trump gives significantly to other charitable entities, as his returns would show. Even if he doesn’t, well, it seems rather unlikely that his supporters would care. What they might care about is how much Trump actually pays each April. His return will reveal his average tax rate and total taxes paid. This was certainly an issue in 2012 for Romney, whose income came mainly from capital gains and was thus taxed at a lower rate than ordinary income. Romney reported income of about $22 million for 2010 and 2011 and taxes paid of only $3 million, resulting in an average effective tax rate of about 14 percent, below that paid by many middle-income taxpayers. Like Romney, Trump probably pays far less in taxes than one might expect given his income. The returns may also reveal that Trump benefits from many of the tax provisions favoring real estate, including, possibly, the treatment of carried interest, against which he has repeatedly railed. Who knows? He may have offshore accounts, or he may have participated in tax shelters that the IRS is currently probing. So what could be in there that Mr. Trump wants to keep hidden? I think it’s safe to say that Trump’s campaign has not been built on detailed policy proposals. Rather, it is based in large part on the image he projects as a very wealthy and successful businessman. He’s a winner, and if we elect him president, we’ll be winners, too. But what if he’s not the winner we think he is? While it may seem tautological, one of the key things Trump’s income tax return will reveal is, yes, his income. What if his return simply reveals that he doesn’t make nearly as much money as he suggests? Now that could be a blow to the image he so desperately fights to project and upon which is candidacy seems to stand. In the end, we could discover that Trump donated to the Darth Vader Fencing Club or failed to donate to the Little Sisters of Charity. We could also learn that he’s taken full advantage of tax laws and pays far less in taxes than one might guess. But those things probably won’t hurt him. Instead, the bombshell could be the answer to the question Rubio has been asking lately: “You know what they say about men with small hands?” Yeah, they have small incomes.